On Thursday 20 September 2018, the US targeted 33 individuals and entities with sanctions over interference in the American Presidential election in 2016. This followed the US Justice Department’s indictment of 12 Russian officials. Previously, 13 Russian citizens as well as the Internet Research Agency, Concord Management and Concord Catering had been charged with interfering with the US political system. The part of the Russian disinformation attack on the American elections which was carried out by the St. Petersburg “troll factory” was a more than two-year long operation involving dozens of employees, hundreds of thousands of followers and millions of dollars. The campaign also included purchasing election advertisement, which focused on race, LGBT, religion and guns. The St. Petersburg troll factory is still active and has moved to new and larger premises and e.g. runs a news website specifically targeting American voters. Not all of the “factory’s” activities are known; however, primarily thanks to Russian journalists working under cover and whistle blowing, the modus operandi of the St. Petersburg troll factory has become public, see here, here and here. For thorough background on the process that has led up to this most recent development in the US reactions to Russian meddling in the 2016 Presidential election, see The New York Times’ story, “The Plot to Subvert an Election”. The American case of Russian election interference has gained massive media attention, but is not unique. 156,000 Russian-based Twitter accounts tweeted about Brexit in the days leading up the June 2016 referendum. According to the study, the accounts posted more than 45,000 tweets about Brexit in the 48 hours before the vote. The majority of the posts encouraged Britons to vote for Brexit. The authors believe the posts were seen hundreds of millions of times. British media also reported on another study from the University of Edinburgh that identified 419 fake Twitter accounts operated by the St. Petersburg troll factory, which had tweeted about Brexit a total of 3,468 times. Many of them also posted tweets aimed at fuelling anti-Muslim sentiment in the United Kingdom. The outcome of the Brexit referendum was met with triumphant notes from Alexey Pushkov, then Head of the Russian State Duma’s Foreign Affairs Committee, who called the referendum result “Western voters’ revolt against the ruling system and traditional politicians”. Pro-Kremlin accounts promoted Catalonian independence on social media, but on a smaller scale than was the case in the US. The French Presidential election was targeted by a cyber espionage group linked by some experts to the Russian military intelligence agency GRU. Russian media had systematically attacked President Macron when he was still a candidate; the attacks included references to conspiracy theories. RT has also enforced Russian influence in France by setting up a French version of the TV channel in December 2017. In Italy, RT broadcast misleading news from Rome when the Italians were about to go to the polls and vote about a constitutional reform. 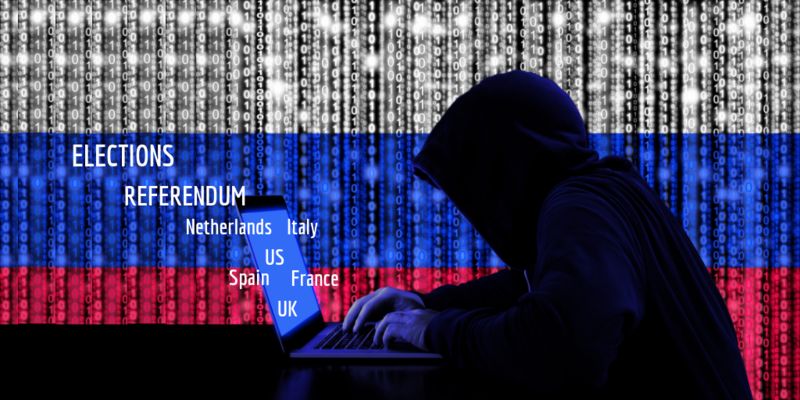 In the Netherlands, Russia-linked trolls tried to influence the Dutch referendum on the EU’s Association Agreement with Ukraine with a fake video containing a terror threat against the Dutch. Macedonians will vote on September 30 in a referendum on the agreement with Greece about the country’s name: voters will be asked: “Are you in favour of European Union and NATO membership by accepting the agreement between the Republic of Macedonia and the Republic of Greece?” (under which the country’s official name will be Republic of North Macedonia). Russian media has clearly and deliberately given greater visibility to messaging in support of boycotting the referendum. Dozens of new websites are popping up each day on Facebook to encourage people to boycott the referendum. These websites, originating outside the country, fit a pattern of Russian interference in other elections, according to the New York Times. In Germany, the Parliament and other important political institutions have been attacked by hacking operations that have been linked to Russia. In addition, Germany has been a constant target of disinformation in pro-Kremlin media. In Sweden, a “troll” operated inside the parliament under a number of fake online identities. On top of this exceptional case, Sweden has also over time seen different cases when pro-Kremlin disinformation has targeted the country. Denmark, Finland, Norway are additional examples of countries that have been targeted by Russian disinformation that could potentially influence opinion forming among voters. 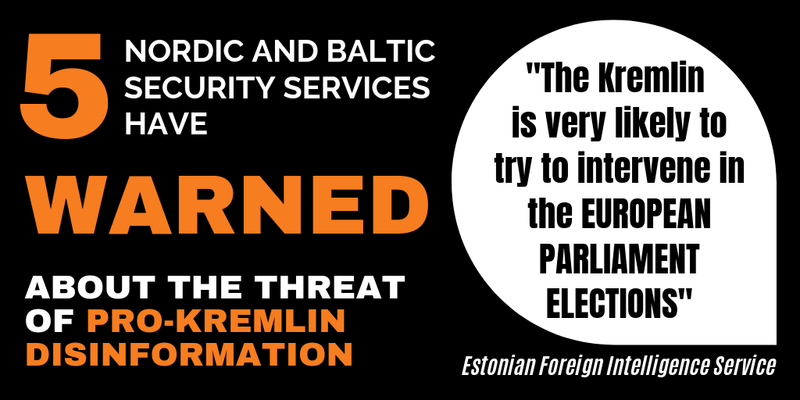 Claims have been made about Russian election interference in Bulgaria; in Scotland’s independence referendum and in the case of a number of other countries; see the list with links to relevant articles on the EUvsDisinfo website. Trolling and the spread of disinformation are a part of a broader family of information operations, which includes hack-and-leak attacks and other forms of “hybrid” aggression, be it threats and intimidations; covert attacks with chemical and radioactive agents on foreign soil; military operations in Russia’s “near abroad” with the use of alleged proxies or unmarked military personnel; cyber-attacks damaging global infrastructure, espionage and the use of influence agents. All these measures pursue aims similar to those of disinformation, namely to destabilise societal structures and weaken a counterpart, whereby the perpetrator’s relative position is strengthened. Many countries have stepped up efforts to counter Russian election meddling for these reasons. Read on the EUvsDisinfo website about the examples of Denmark, France and Sweden. For a list of relevant publications discussing disinformation attacks on acts of voting in Finland, France, Germany, The Netherlands, Italy, Scotland, Spain, the UK, and the US, see the Elections & Referenda reading list on the EUvsDisinfo website. 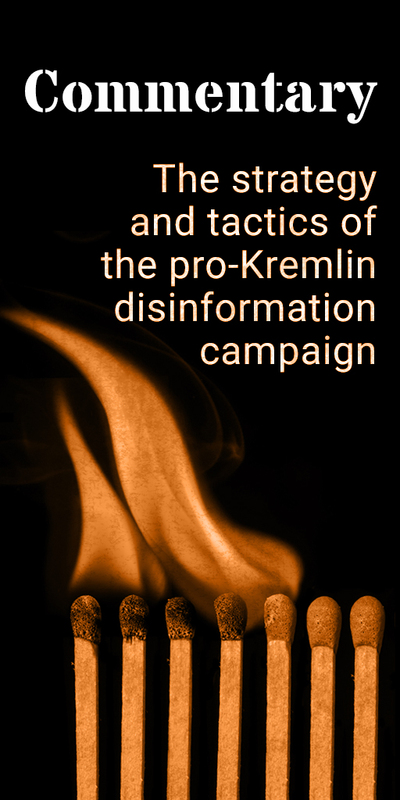 For questions of definition and a more thorough discussion of the aims and objectives of disinformation, also beyond elections and political institutions, see our article The Strategy and Tactics of the Pro-Kremlin Disinformation Campaign.